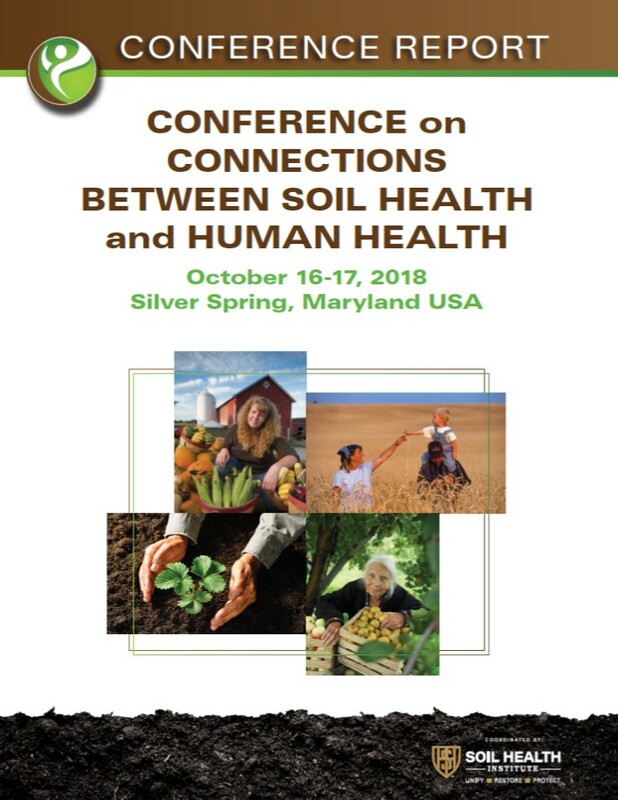 The Conference on Connections Between SOIL HEALTH & HUMAN HEALTH was organized Oct. 16-17, 2018 at Silver Spring, Maryland. Here is a series of videos from the conference. SOIL HEALTH SERIES with Rafiq Islam and Patrick Dengel. Discussion points about the upcoming Soil and Water Field Night Aug 16, 2018, 5:00pm - 9:00pm which helps farmers learn more about corn ear disorders, current weed management issues in Ohio, and an in-field soil health demonstration. SOIL HEALTH SERIES with Vinayak Shedekar. He presents a report on the Conservation Tillage and Technology Conference held during March 6-7 at the Ohio Northern University campus in Ada, OH. He interviewed some of the speakers and attendees at the conference who presented on various topics related to soil health. Vinayak Shedekar introduces "The Science of Soil Health" - a series of short videos produced by the NRCS and film maker Robin "Buz" Kloot, PhD. In the fall of 2013 Buz made a cross-country trek to interview some of the nation's leading researchers and experts—in order to more fully understand the science of soil health. The entire series is available on YouTube as well as NRCS website. You can also find a link at www.soilhealth.osu.edu/video. NRCS and film maker Robin "Buz" Kloot, PhD, have teamed up to develop a series of short videos focusing on the science of soil health. In the fall of 2013 Buz made a cross-country trek to interview some of the nation's leading researchers and experts—in order to more fully understand the science of soil health. This is an introduction to the "The Science of Soil Health" video series. Dave Brandt (Carroll, Fairfield Co, Ohio), one of the early adopters of no-till and cover crops talks about soil health and associated benefits.